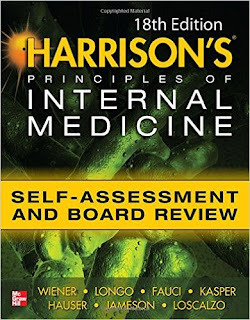 Based on the content of Harrison’s Principles of Internal Medicine, 18e, this powerful study tool is essential for Internal Medicine Board certification or recertification/maintenance of certification, or as a refresher for any internal medicine examination. Reflecting the accuracy and timeliness of Harrison’s, this complete review of internal medicine features more than 1,100 review questions, many of which utilize realistic patient scenarios, including radiographic or pathologic images. Each question is accompanied by a complete answer and explanation derived from – and cross-referenced to – Harrison’s Principles of Internal Medicine, 18e. These questions are designed to bolster your understanding of pathophysiology, epidemiology, differential diagnosis, clinical decision making, and therapeutics.